Have the Life Changing Smile of your Dreams in as little as One Day! Discover how the All-On-Four Dental Implant procedure is changing lives in just one day! Schedule a free consultation with Dr. Wardius, one of the most experienced & accomplished All-on-4 implant dentist in the country. 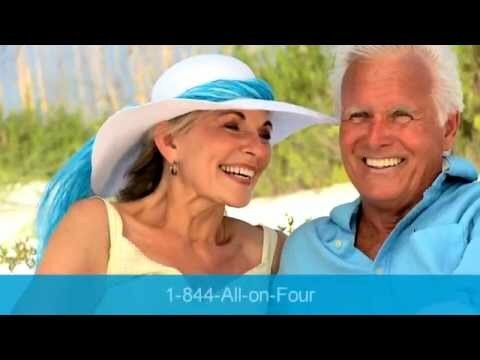 If you’re living with discomfort or hassles of dentures, but are concerned about being able to afford the All-on-4 implant procedure, Life Changing Dental Center is here for you! With financing starting at just $245 a month* per arch, you can enjoy a beautiful, life-changing smile in just one day! With the All-On-Four, you can walk into our office with your current dental situation and leave a few hours later with beautiful, functioning, retained teeth that you can eat with as soon as the sedation wears off. Life Changing Dental’s 3D Approach is easier, more convenient, and gets you new teeth much faster than the traditional approach. My All-on-Four implants are fabulous, I love them! I’ve been told I look younger, which is a big plus! I would do it again in a heart beat! My experience was just awesome. I will highly recommend this place. I always had a lot of problems with my teeth over the years. The All-on-Four is the best procedure I have ever had done! I’m so grateful I had it done! Dr. Wardius gave me a million dollar smile with the All-on-Four and I am so happy it turned out the way it did! I would never go to any other dentist. My experience was great the staff is so kind and the Dr. did amazing work. I'm so pleased with my work that was done. An unbelievable experience. No pain whatsoever. Complete satisfaction with the work, the staff was wonderful. Watch how we’re changing lives through All-On-Four procedure. Dr. Wardius loves helping people feel better about themselves, giving them the confidence to open up, enjoy life and relationships they had been shutting out. He changed the name of his practice to “Life Changing Dental Center” because his patients keep coming back after having the All-on-Four done telling him all about how this procedure has changed their life. His motto of “laugh, eat and smile with confidence” has become his mission for all of his patients. It’s no surprise that Dr. Wardius has become one of the most experienced & accomplished All-On-Four dentist in the country. © 2019 Life Changing Dental Center. All rights reserved. Built by PracticePerformance.